This item has been viewed ( 20 ) times. "Discover How To Become Your Own Brew Master,With Brew Your Own Beer. It takes more than a recipe to make a great beer. Just using the right ingredients doesn't mean your beer will taste like it was meant to. Most of the time it’s the way a beer is made and served that makes it either an exceptional beer or one that gets dumped into the nearest flower pot." 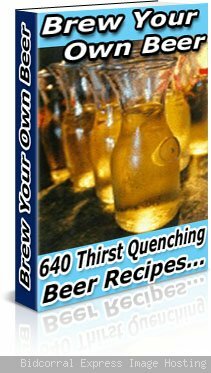 Brew Your Own Beer is delivered in PDF format and is viewable on any computer. All you need is Adobe Reader which is available free and already on most computers.